Who Should Rule These Scottish Islands? Who governed Orkney then? We don’t know. Who governs Orkney now? We still don’t know. But some clarity could come this month with a referendum that will impact the lives of the 23,000 people who inhabit these 70 islands. On September 18, the voters of Scotland–all residents older than 16 years–will decide whether to become an independent country or remain within the United Kingdom. During the two world wars, the British military used Orkney as their main naval base; the remains of sunken warships can still be seen today along the coastlines of Orkney. More recently, the region’s enormous natural resource–including fish, gas, oil, and new opportunities to generate electricity from wind and tidal flows–have given rise to a great deal of interest in Orkney. A “yes” vote in the September referendum would mean independence for Scotland, but it’s not clear if that would mean more independence for Orkney. Sovereignty has a difficult history here. 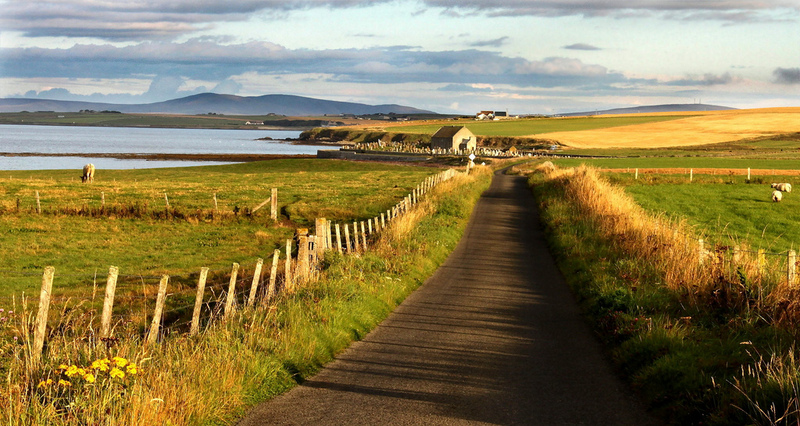 When Scotland—after a successful popular vote back in 1997—achieved more autonomy within the United Kingdom, Orkney’s regional powers were reduced. And Orkney’s regional powers weren’t much to begin with, the U.K. being one of Europe’s most centralized polities. Together with his leadership colleagues in other parts of Orkney—Shetland and the Hebridean islands—Heddle has used the ongoing referendum process on Scottish independence to open negotiations with the governments in both Edinburgh and London about autonomy for Orkney, irrespective of the outcome of the referendum. Those negotiations have yet to produce a clear plan, but both the Scottish government and the central U.K. administration in London have promised to give more power to the people of Orkney. While Steven Heddle doesn’t want to reveal his voting preference in September, his wife Donna Heddle is a strong advocate of an independent Scotland. “This will finally give us the right to have a government of our own,” she said, noting that successive Tory governments in London had no support at all from the people in either Scotland or Orkney. Donna Heddle envisions an independent Scotland with an oil-funded Nordic-style welfare state that would allow Orkney to become an autonomous part of the U.K. She can also imagine a future with an independent Scotland in which Orkney has a status similar to that of the Faroe or Åland islands—two other archipelagos further north that belong to Denmark and Finland, respectively, and possess far-reaching lawmaking powers. Not everyone agrees with the many Orcadians on the Scottish independence question. But no matter how people here vote on September 18, their desire for their sovereignty is unmistakable. The question is: What path will get the islands there? Bruno Kaufmann, a journalist and election commissioner in Falun, Sweden, is founder of People2Power, a publication on democracy in which a version of this piece is being co-published.